I’ve really got this speedy makeup thing down. Case in point yesterday, when how soon I could have lunch depended on how quickly I could do my makeup – turns out food is a good motivator. In case you wanted to speed makeup up so you can have more time for easter-egg consumption, here’s my super speedy routine. To be as speedy as possible, I’ve been blending in Estee Lauder double wear with my hands – the finish looks nice and natural when you don’t use a brush or tools. The foundation is hardy enough to not need a primer either, so it’s a one-stop wonder. Obviously need concealer, so the Clarins instant concealer is another one that’s good to blend in with fingers. A quick swirl of Benefit Coralista and then that’s it for base. I know! It literally takes two minutes and leaves my skin looking a lot better. I’ve been wearing glasses all week because my lens delivery has gone MIA, so skipping eye makeup completely and then just filling in brows. Apply some lipstick as you’re running out of the door – I always love D for Danger, but anything bright and pretty is a winner in my books. 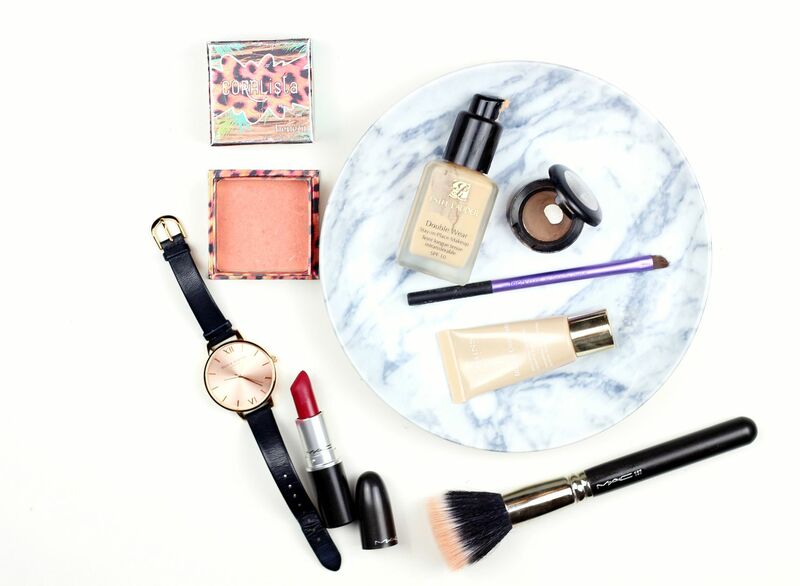 Do you have any speedy makeup tips? If you liked this post you might like this post on a five product hangover face or this post on pretty in pink speedy makeup. Chocolate Inspired makeup for Easter.